We started our latest trip to the jungle by collecting some of the camera traps from the river bank right opposite our Rainforest Camp. We like to keep a few cameras quite close to the camp so that we can see what kind of animals can be found right in front of our doorstep. However, as discovered during our previous trip to the jungle, one camera in a prime spot, deep in the jungle in front of a large cave was fully destroyed and needed replacing. During the boat ride we chatted with the Wildlife Sanctuary ranger accompanying us, and it was obvious that he was slightly hesitant of our upcoming trek. He had just returned from a recent patrol trek and knew that there are plenty of wild elephants in the area we were heading. Whereas someone might initially consider a possibility of seeing wild elephants in their natural habitat a dream come true, the real-life encounter with these wonderful creatures can be highly dangerous. When stepping off from the longtail boat, the first footprints spotted on the river banks belonged to a herd of gaurs. 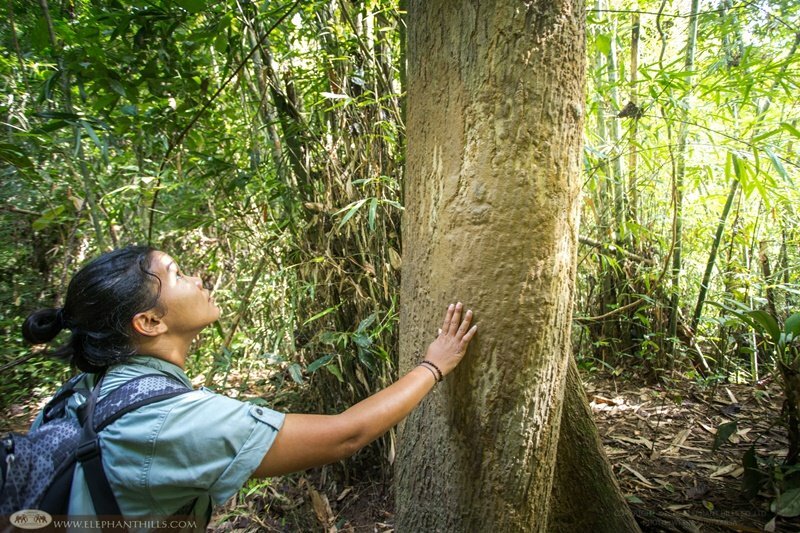 Just 20 meters into the jungle we could already hear the sounds of wild elephants crushing bamboo trunks as they made their way through the forest floor. We stopped there to have a quick talk with our team and decided to carry on with the trek and our task of changing the batteries and memory cards in all cameras. This might have just been the most exciting trek within our Wildlife Monitoring Project so far. 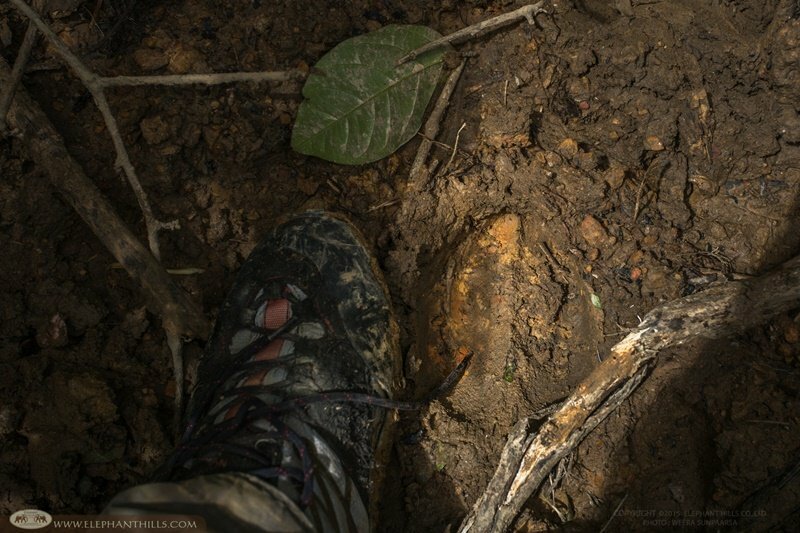 Pretty much all the other wildlife footprints were covered by elephant footprints all the way. 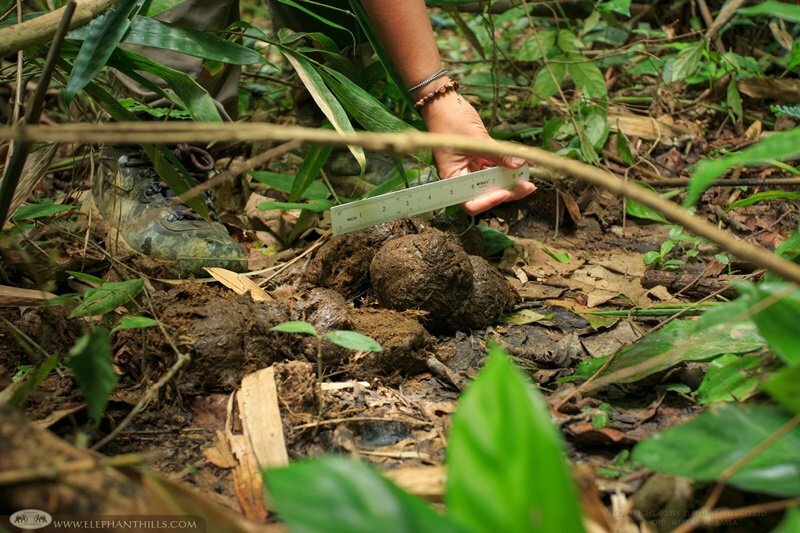 We also saw plenty of fresh dung in different sizes, revealing that there are calves in this herd. The female herds are especially protective when there are babies around, and you would without a doubt want to avoid getting caught between a mother and her young. Knowing that elephants have excellent hearing, we tried to make enough noise for them to sense us well before getting face to face with them. After collecting all the footage and returning to our Rainforest Camp safe and sound, we were very happy that we went through with our mission. 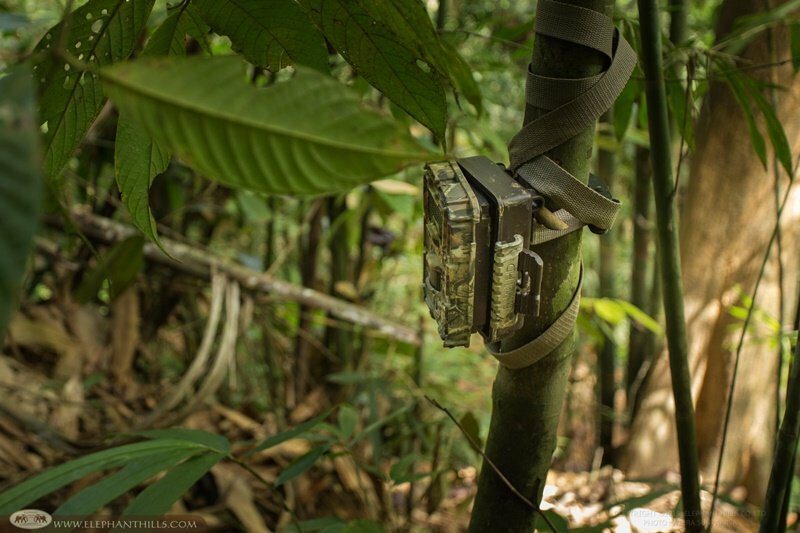 Even though yet another two cameras were damaged by wild elephants, we believe that the remaining footage is certainly worth the thrilling moments in the jungle. Stay tuned for the incredible elephant footage! We are currently looking for partners to co-operate with our Wildlife Monitoring Project through corporate sponsorship. 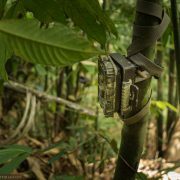 Would you like to donate a camera trap for recording the amazing wildlife in one of the world’s oldest rainforests? 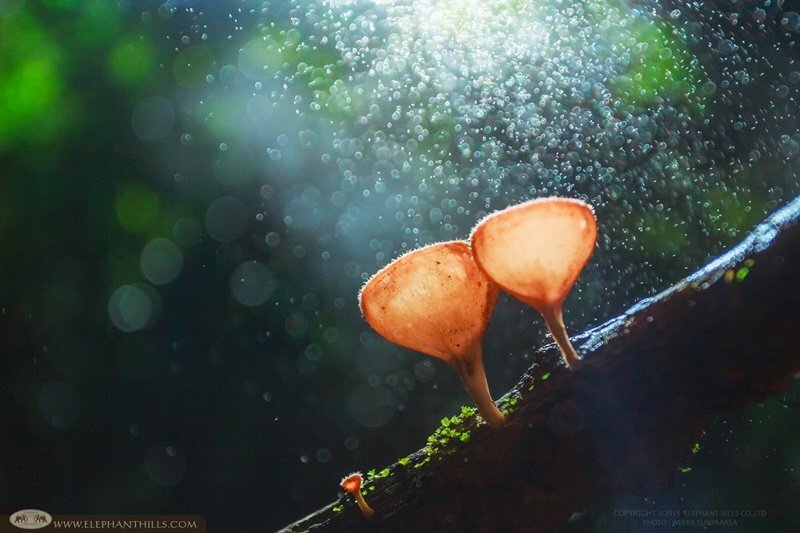 Our nature-loving followers would definitely be thrilled to see the footage! 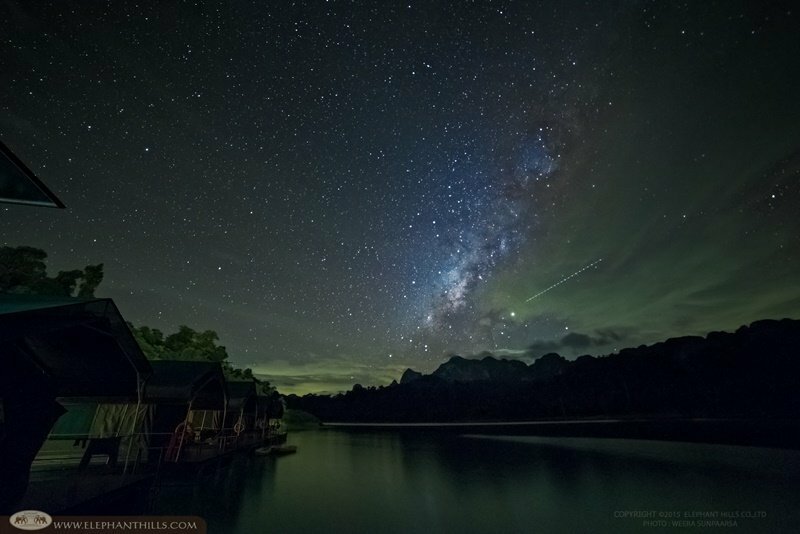 By gathering information on the flora and fauna in Khao Sok, we believe we can help the National Parks and Wildlife Sanctuaries with their continuous efforts on preserving this unique area. Please contact us at [email protected] to discuss the options.